For years brands have been paying large sums to producers and writers to integrate their products into all forms of media from television and movies to print articles in well established publications. Today’s televised music competitions may be the most obvious about it, but rest assured you’re bombarded by this product placement all day long. The downfall to much of this product placement is that it’s only a quick mention or glimpse of a product. Many bloggers, however, have devised an incredible strategy for integrating products within content in a relevant manner that helps educate the consumer about a product – the giveaway. There are multiple ways that bloggers are able to integrate giveaways into posts, the most common being the straightforward product review combined with a giveaway for the reviewed item. Some bloggers do take this a step further and are able to integrate that product within related content. 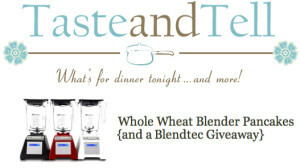 A perfect example of a well executed product placement giveaway is the Taste and Tell Blog’s post on how to create Whole Wheat Blender Pancakes. This article walks the reader through the process and recipe for making whole wheat pancakes in their blender – a topic that is perfectly aligned with the blog’s content strategy. The blog post’s instructions include the use of a Blendtec blender which is written about and lauded throughout the article. 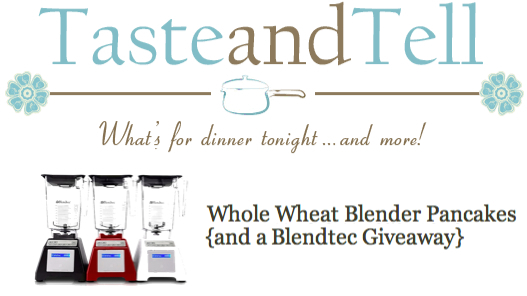 At the conclusion of the post is a giveaway that provides the reader the chance to their own Blendtec blender. This blog post includes images of the product in action as well as how often they personally use it. This type of personal recommendation can carry a lot more weight than briefly scanning a graphically enhanced product image in what is clearly ad space with copy written by a marketer. It’s personal, honest and, for the most part, unbiased. Those are not typical adjectives used to describe marketing techniques. In a typical situation, brands identify blogs with a following and readership that is close to or encompasses their target consumer. They then send their product to the blogger, who is able to test it out. Afterwards, the blogger will write a post (hopefully honestly) that includes a review of the product. As part of the post they also offer their readers the opportunity to enter to win the product via a giveaway. The reverse also happens often; a blogger contacts a company to request a sample of their product so that they may review it for their readers. Potential consumers are able to hear directly from the blogger, whom they trust, about the pros and cons of the product. They’re educated about what it is, what it does and whether or not it is deemed a worthwhile purchase. The consumer also has the chance to enter to win the product via the giveaway, so the time they’ve taken to learn about the product is being acknowledged and potentially rewarded. For brands, this is an extremely cost effective way to get the word out about their product. This in-content advertorial can be much more effective than a display ad that is ignored by the majority of people that it is being served to. This content also has a much higher trust factor associated to it because the comments, review and benefits are not being spewed out by the brand’s marketing team. In many cases the benefits and favorite features that will be highlighted by each blogger may not always be those that an advertising professional would focus on most heavily, providing a broader spectrum of value propositions being disseminated to potential consumers. The most obvious benefit for bloggers of this win-win relationship is that the blogger is provided with free samples of the products that they are reviewing. In addition to the physical product, by creating their own giveaways using an application such as PromoSimple, the blog is able to include requirements such as being a fan of the blog’s Facebook page or subscribing to their newsletters. The audience and traffic generated by the giveaway helps build the blog’s membership base while rewarding their readers with the chance to win a relevant prize from the giveaway.